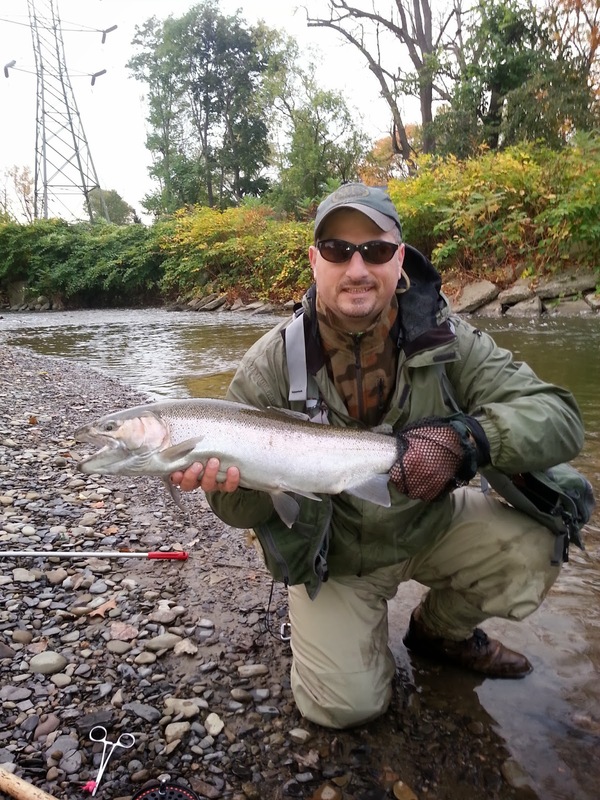 18 Mile: Steelhead Monday....Well maybe not. Last Friday I was excited with the hope to get in in three solid days of fishing but the weather Gods had their own plans. Saturday stream quality was a mixed bag. Most water was brown and murky with a few having just cleared . 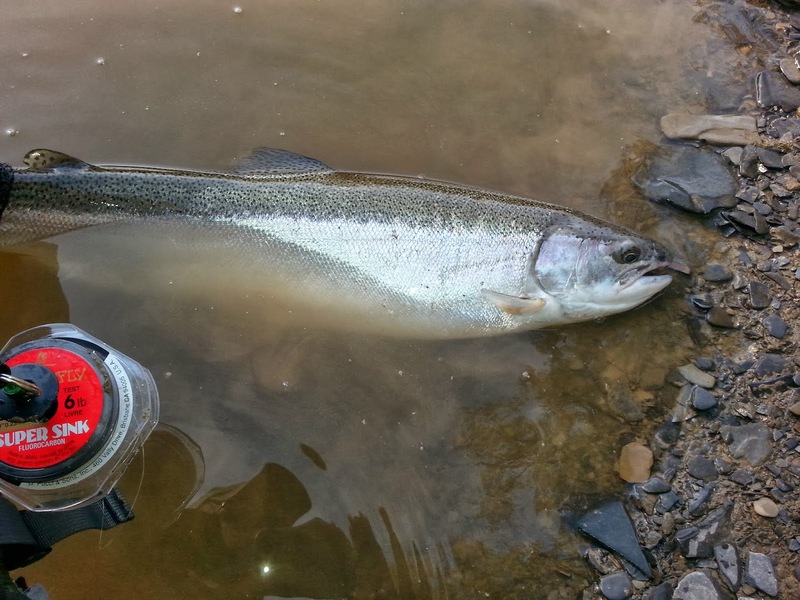 The steelhead gods graced me with a few fish in clear and murky water to my surprise. There is something to say about fresh October fish. Some of them have the ability to give you a shot of adrenaline and leave your knees a little wobbly. Sunday the very gods that giveth took away and punished me with lake effect rain. The steady rain which was heavy at time brought chocolate milk to all the tribs both big and small. Well I guess we have all been praying for a good shot of precipitation to distribute the fish through all the tributaries both high and low in the systems. We asked for and now we got it. Nice pics JZ. You are getting Artsy! I like it. 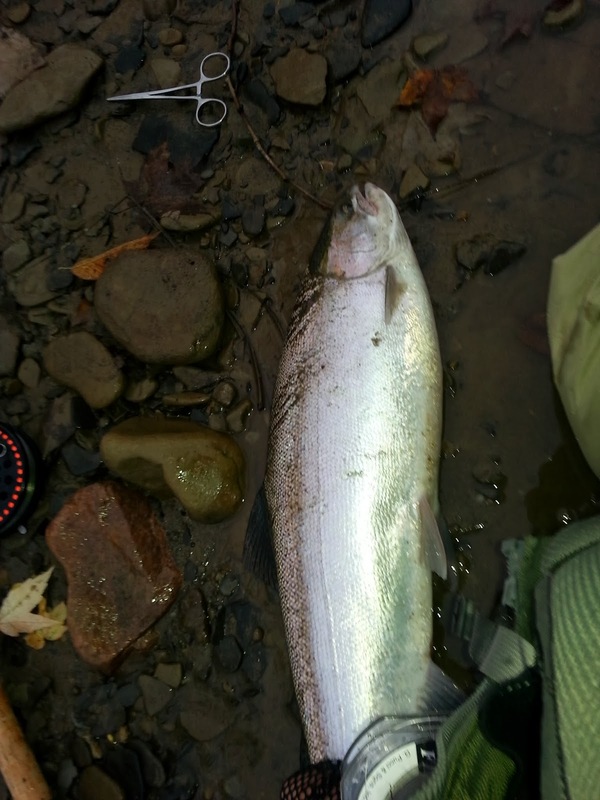 So much more to the story that just Fish pics although you can't beat a killer shot of some October Chrome. We just got snafu'd a little by this latest round of precip as well. Can't really complain though. 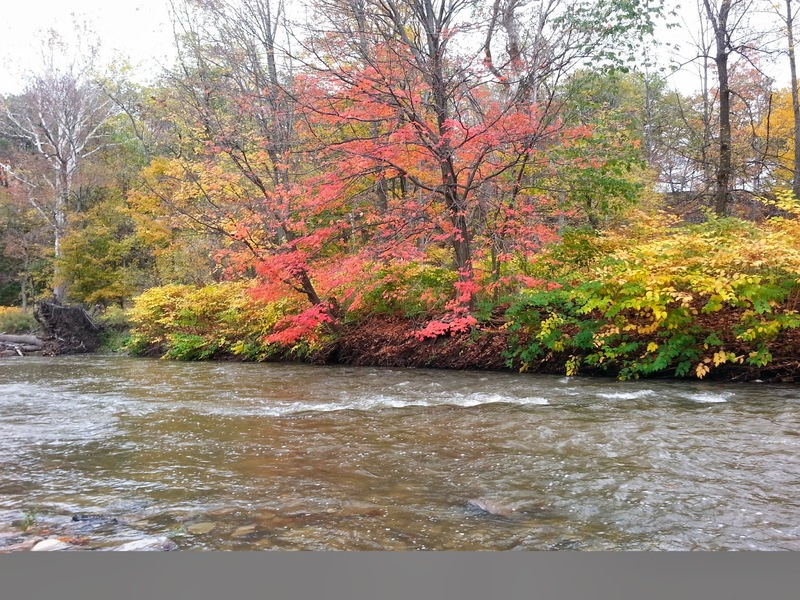 The Huron season is getting off to a terrific start from a water perspective. 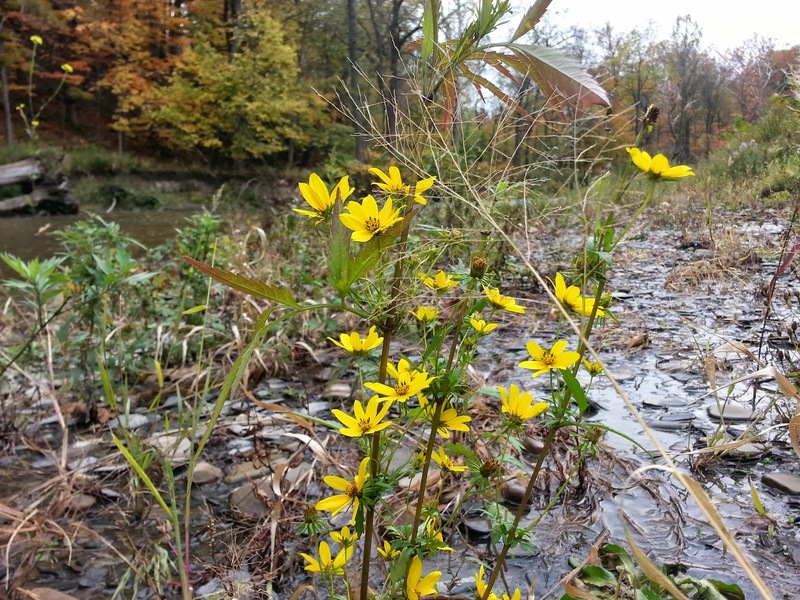 The rivers are big and the ground is saturated with more rain in the forecast. Reminiscent of 2006 but I don't want to be the guy who Jinxes it all so i'll shut up right now. Keep the reports coming and all the best to ya this Fall/Winter.